According to a new market research study titled ‘Wearable Medical Devices Market - Global Analysis and Forecasts By Device Type and Application. The global wearable medical devices market is expected to reach US$ 23,310.9 Mn in 2025 from US$ 6,231.7 Mn in 2017. The market is estimated to grow with a CAGR of 18.1% from 2018-2025. 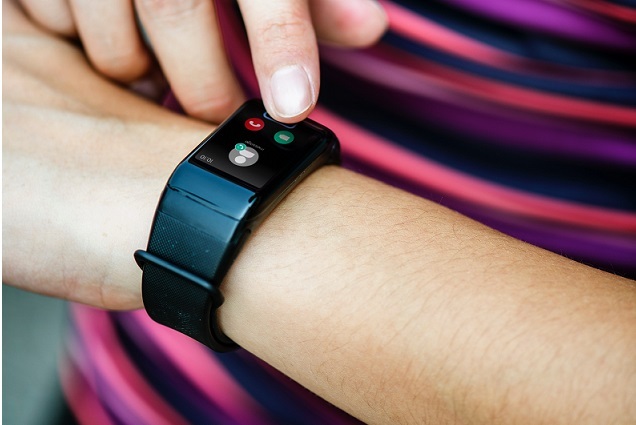 The report highlights the trends prevalent in the global wearable medical devices market and the factors driving the market along with those that act as deterrents to its growth. The market is expected to grow due to .. According to a new market research study titled ‘Genomics Market to 2025 – Global Analysis and Forecasts by technology, product & service application and end user. The global genomics market is estimated to account for US$ 32,995.3 Mn by 2025 as compared to US$ 14,728.6 Mn in 2017, growing at a CAGR of 10.8% during the forecast period from 2018 to 2025. The report highlights the trends prevalent in the global genomics market and the factors driving the market along with those fact as restraint to its growth. .. According to a new market research study titled ‘Endoscopy Devices Market - Global Analysis and Forecasts By Product, Application and End User. The global endoscopy devices market is expected to reach US$ US$ 45,612.3 Mn in 2025 from US$ 26,333.3 Mn in 2017. The market is estimated to grow with a CAGR of 7.5% from 2018-2025. The report highlights the trends prevalent in the global endoscopy devices market and the factors driving the market along with those that act as deterrents to its growth. The market is expected to grow favorable governme.. Ceramic Tiles Market to 2025 – Global Analysis and Forecast by Type, and Application. In terms of revenue, the global ceramic tiles market accounted for US$ 81.01 Bn in 2017 and is expected to grow at a CAGR of 5.5% over the forecast period 2018–2025, to account for US$ 122.59 Bn in 2025. As a product the ceramic tiles have grown to a considerable chunk and the market for the same is observing a rapid growth with regards to the product innovations being carried out by the market players. Another factor catalyzing the market growth in the cu.. Traditional methods of handling material through the entire supply chain of the product cycle has proven to be highly inefficient, error-prone as well as risk-prone for the labor associated with the task. Increasing demands for various consumer goods, electronic devices, and automotive have created additional pressures for enhancing the efficiency of the supply chain. Matching supplies with the ever increasing demands for consumer goods has remained one of the biggest challenges for the service providers. Further, conventional human methods are..